Sevenpie’s big sister, Sevenvault turns 2 this week! 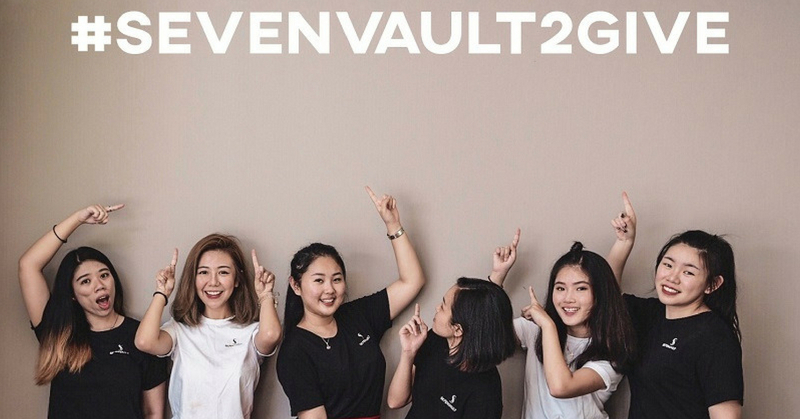 To those who are not familiar with our sister company, Sevenvault is one of Malaysia’s digital content marketing agency whom has worked with different clients and influencers for a lot of exciting campaigns! #Sevenvault2Give is the theme for this year whereby Sevenvault reaches out to Malaysian influencers and friends (like you and I) to share about one thing that we want other Malaysians to do to bring positive changes within the society in Malaysia. This idea is inspired by what we all witnessed during this year’s election. In the wake of GE14, we realize that us as citizens of Malaysia must not rely on our government only to make changes; collectively, us citizens are responsible to bring the change we want to see in our country by coming together as one. Sevenvault believes that if we combine our voices as one, we are able to impact the ones around us and create a society that we all desire to have. So, why migrate when we can make Malaysia the best place in the world to live in? Simple things like leaving your phone number when you double-park behind other cars or smiling to the stranger next to you (not a creepy one!) will surely brighten their day. So, we want YOU (yes, you) to be part of this movement too! Here’s how you can do it! Be the changes you want to see in the world, and let us help you get that change started. Join us in our online movement with #Sevenvault2Give and see the changes happen in Malaysia! P/s: Don’t forget to check out #Sevenvault2give on Instagram for more updates on this online movement!